Maryland, #6 seed, East Region. Maryland has not won three games in a row since January, which does not bode well for a team now entering the NCAA Tournament. It’s also worth noting that the Terrapins — college basketball’s fourth-youngest team — has beaten just two opponents this season ranked within the KenPom top-30 (Purdue and Wisconsin). Anthony Cowan is among the league’s best point guards and Bruno Fernando is an NBA-caliber big man, but one wonders if Maryland can get past offensively-gifted Belmont or a veteran Temple squad on Thursday, much less LSU (or Yale?) in the Round of 32. Then again, none of those opponents are overwhelmingly talented, and few teams can match the Terrapins’ interior size and athleticism. Minnesota, #10 seed, East Region. 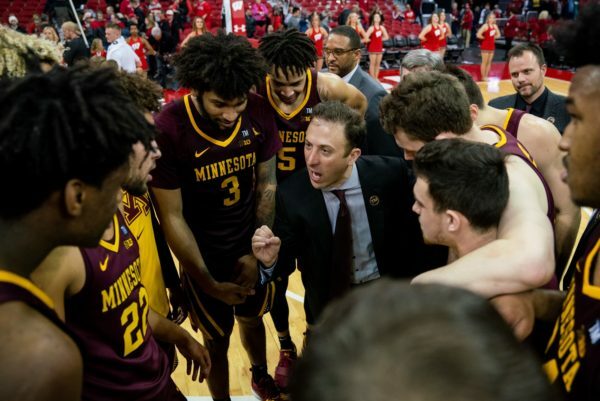 Richard Pitino vs. his dad’s old program? The committee couldn’t have scripted it any better. Minnesota removed itself from any bubble debate by knocking off Purdue twice in March, setting up the opportunity to play a Louisville team that dropped eight of its final 12 games. That’s the good news. The bad news is that the Cardinals are underseeded according to KenPom (#17 overall) and led by a coach, Chris Mack, who has reached the Sweet Sixteen four times as a #6 seed or worse. The Gophers are a poor shooting team that will need top-scorer Amir Coffey — who’s averaged 23.8 PPG since February 28 — to continue hitting shots in order to win. A strong performance from Jordan Murphy (11.5 RPG), the Big Ten’s leading rebounder, would also help. Either way, Minnesota is probably too mediocre to win more than a game. Iowa, #10 seed, South Region. Simply put, Iowa was a bad basketball team toward the end of the season. The Hawkeyes lost four straight games entering the Big Ten Tournament — including a 14-point home defeat against Rutgers — and were shellacked by Michigan on Friday night. Whether it was Fran McCaffery’s suspension-garnering tantrum or simply natural regression after a remarkably lucky 21-6 start, Iowa is clearly not the team we thought it was as recently as mid-February. For McCaffery’s group to beat Cincinnati, it will need to knock down shots from the perimeter; the Bearcats simply don’t allow good looks in the paint (44.7% 2FG defense). That fact doesn’t bode well for forward Tyler Cook (14.9 PPG, 7.9 RPG), whose late-season struggles further compounded Iowa’s poor play. Considering where this game is being played (Columbus, Ohio) — less than two hours from Cincinnati’s campus — don’t count on the Hawkeyes advancing. Ohio State, #11 seed, Midwest Region. The Indiana-Ohio State Big Ten Tournament match-up proved to be a veritable NCAA Tournament play-in game, with the Buckeyes earning one of the last at-large bids and the Hoosiers just missing out. The return of big man Kaleb Wesson (14.4 PPG, 6.8 RPG) — who started against Indiana after missing the team’s three previous games due to suspension (all losses) — probably made the difference for Ohio State. With the 6’9″, 270-pound Wesson in the lineup, the Buckeyes are a markedly better team, able to play inside-out and get second-chance looks otherwise not possible in his absence. To beat Big 12 Tournament champion Iowa State, they will need to slow down the Cyclones’ uptempo attack and keep Wesson on the floor. If Ohio State turns this into a half-court game and Iowa State goes cold from the perimeter, an upset is possible. Another upset against #3 seed Houston in the Round of 32? Not likely. 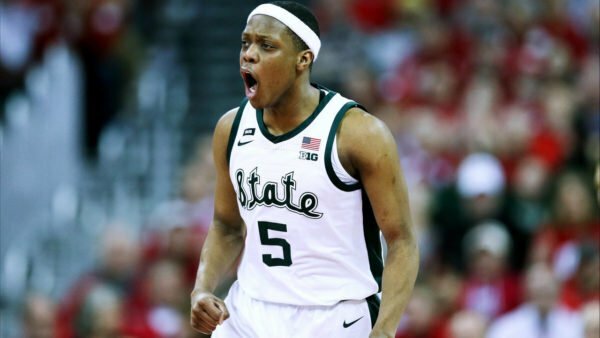 This entry was posted on Sunday, March 17th, 2019 at 10:53 pm by Tommy Lemoine	and is filed under big ten, microsites, Uncategorized. Tagged: big ten, Bruno Fernando, Cassius Winston, Ethan Happ, fran mccaffery, kaleb wesson, maryland, michigan state, minnesota, ncaa tournament, tom izzo, wisconsin. You can follow any responses to this entry through the RSS 2.0 feed. You can leave a response, or trackback from your own site.